LIBRA is an air sign, tenacious, changeable, diplomatic, controlling, charming, meticulous, seeks justice and harmony in relationships, with thoughts, actions and goals, creates beauty through food, the arts, design, and invents new ways of accomplishing old tasks. MUNDANE Libra, let’s face it, you’re a mini dictator. There’s no other way to say it. You exemplify what negative control can mean. You don’t share easily, especially praise. When you get stuck attempting to use military tactics to police your mate, you wind up parenting instead of harmonizing. Always waiting for the sucker punch, you’ll suddenly act out sideways and flip to another point of view to keep others in the dark. You can be a brilliant inventor, mental maniac, or unconventional genius. If you don’t trust your decisions, you’ll look to challenge others or point fingers. Be aware that your persecution complex comes from invalidating your intuition and not trusting what’s best for you. Too much wine or alcohol may take the edge off, but it’s getting in touch with the earth and natural magnetic frequencies that will help you feel grounded, alive, comforted. ESOTERIC Libran, you’re so mellow, easy going, and gracious. You’ve got a lot invested in your creative, problem-solving thoughts that you can appear spacey. But we know the truth… you’re truly brilliant. You seem to always be inventing new ways for others to view and experience the world. It’s true, too, that to keep the peace, you often keep your opinion to yourself. You just don’t like disruption or disturbances. You’re a wonderful diplomat and look to be fair with everyone. Your most difficult task in life is to balance all of their greatness by making solid decisions and trusting that those decisions will benefit themselves as well as others. 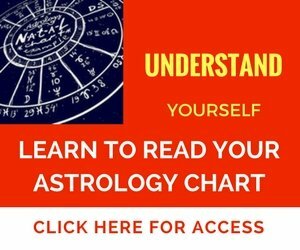 When Libra is on the rise, the planet Venus guides the general theme of a person’s astrological chart. Venus represents art, love, beauty, feminine principles, protection, agriculture and real estate, tenacity, finances, and food, glorious food. You can be obsessed with making money, sometimes investing resources (time, energy, cash, talents) in shady deals, newbie startups, or gamble to make a quick buck. It would help you to discover and trust your power in effecting positive change and to exercise your actions with confidence. Vacillating on who you might offend or whether the issue is right or wrong, good or bad, takes you out of your sensations. Too many thoughts will render you disabled and confused. Use your compassion and enthusiasm to make a decision. The biggest issue in your life is making a decision with ultimate confidence and not thinking that you’ve made a mistake. You’re determined to meet others’ needs in the most diplomatic ways. You’re determined to meet others’ needs in the most diplomatic ways. Sometimes you’re accused of being too aloof, not taking a stance. Imagine being called the “Iron Fist in the Velvet glove.” You’re focused on justice and fair business practices. Pay close attention to your group. You’ll discover your true identity by the company you keep. And it’s very okay to experiment with your personality by having diverse types of folks in your life. Typically, you attract very competent and stable partners. But if you’re on the controlling side, they’ll be more passive. Again, they’ll represent the exact opposite of you from time to time. If your partner is on the controlling side, then that’s your cue to take a stance and vocalize your opinion. If you’re the one doing all the work in any relationship, then it’s time to sit back, allow others to step up, by TRUSTING that the job will get done. Again… trust is a big issue that undermines your confidence. Remember, you seek harmony. Sometimes you do that by creating chaos or opposition! It’s key that you structure a home environment that embodies a sense of discipline and order without the self-denial (left over impressions of your mother). Your biggest challenge is to proclaim your ideals without defense or apology. You’re charming and agreeable and can sway others’ opinions with reason and diplomacy. You’ll learn a lot about yourself by feeling your deepest feelings instead of denying them. Several topics give you a rush of identity and are close to your heart: women and children’s issues, nurturing others via health, art, food, beauty, cosmetics, law, political lobbying. Using Emotional Freedom Technique helps you to calm down repetitive thoughts that cause you to obsess. Brain entrainment, such as my BodhiBrainstorm with Theta waves and Binaural beats also helps you to reign in those massive thoughts. Your adrenals will suffer most when you’re under great stress. Warning signs are moments when you crave sugar, dairy, alcohol. ‘Earthing’ is a great way to get grounded. You can purchase an Earthing mat or go barefoot in the park, connecting your feet to the Earth to absorb it’s harmonizing electric magnetic field. 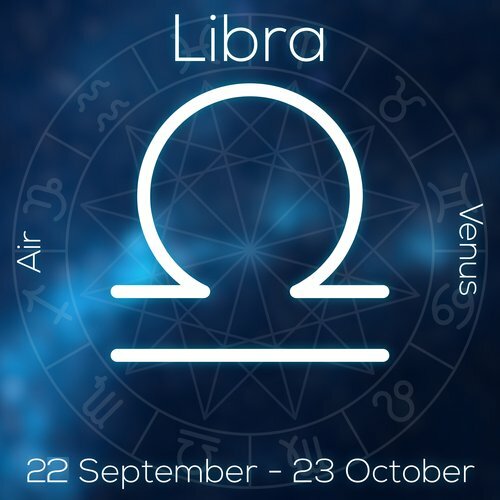 Notable Libra Rising Signs—Britney Spears, Anne Heche, Matt Damon, Chevy Chase, Jennifer Aniston, Joseph Campbell, Jennifer Yeung, Cary Grant, Stevie Wonder, and Ellen Burstyn. Libra Moon—at an early age, you’re presented with a dilemma to choose an alliance with either mother or father. Your whole purpose on Earth is centered around fairness and this leaves you either immobilized by having to make this choice or detached from your own feelings. Initially, your connection to mom is sweet or deeply nurturing, but in later years your perception is that mom is either victimized or self-absorbed. You might have witnessed mom self-medicate with prescription drugs or alcohol or manipulate to meet her needs. This left you indecisive, not wanting to make a firm decision, or having trouble discerning healthy boundaries in romance in your later years. How to know when you’re stalled by indecision? You can’t answer simple questions such as, “What would you like for lunch?” because you fear making the ‘wrong’ or inappropriate decision. Money becomes a strong focus for earning attention, affection, or credibility. If indecision looms, your bank account swings to extremes. Realize that your decisions aren’t right or wrong. Your decisions don’t minimize another’s needs. Rather, making a decision based upon a VALUE SYSTEM that weaves your needs with the needs of others will help you feel committed to a healthy outcome.